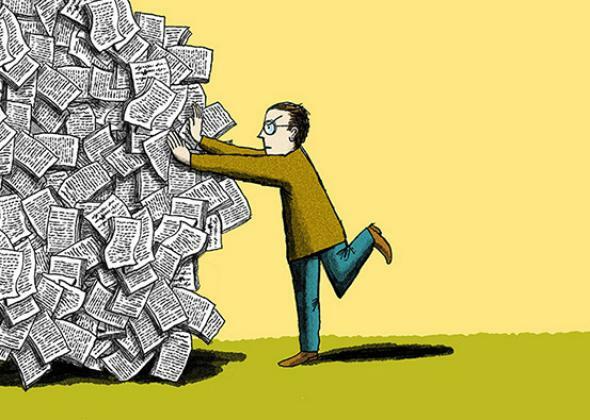 College papers: Students hate writing them. Professors hate grading them. Let’s stop assigning them. Most students enter college barely able to string three sentences together—and they leave it that way, too. With protracted effort and a rhapsodically engaged instructor, some may learn to craft a clunky but competent essay somewhere along the way. But who cares? My fellow humanists insist valiantly that (among other more elevated reasons) writing humanities papers leads to the crafting of sharp argumentative skills, and thus a lifetime of success in a number of fields in which we have no relevant experience. But my friends who actually work in such fields assure me that most of their colleagues are borderline-illiterate. After all, Mark Zuckerberg’s pre-Facebook Friendster profile bragged “i don’t read” (sic), and look at him.